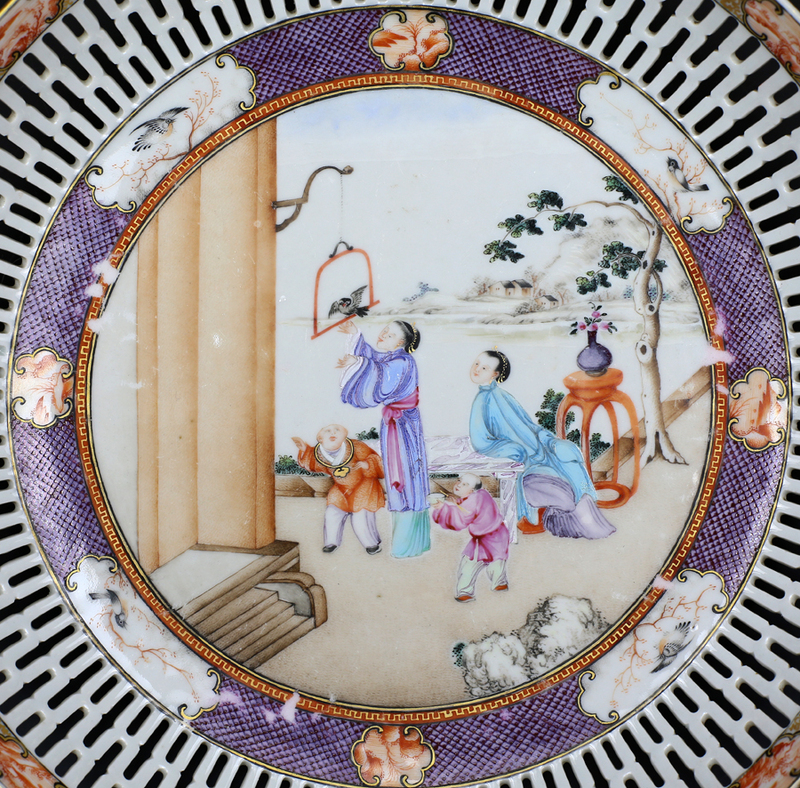 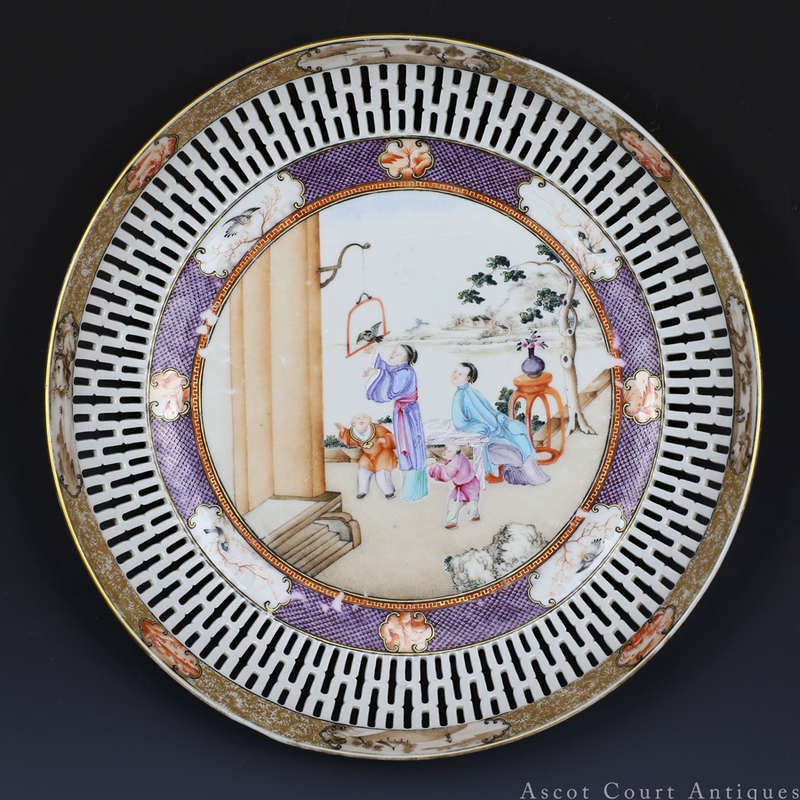 A fine c. 1790s late Qianlong period Chinese export porcelain circular dish, painted in the central well with a genre scene of two concubines at leisure in their garden, amusing themselves with a perched bird, while two boys play at their side. 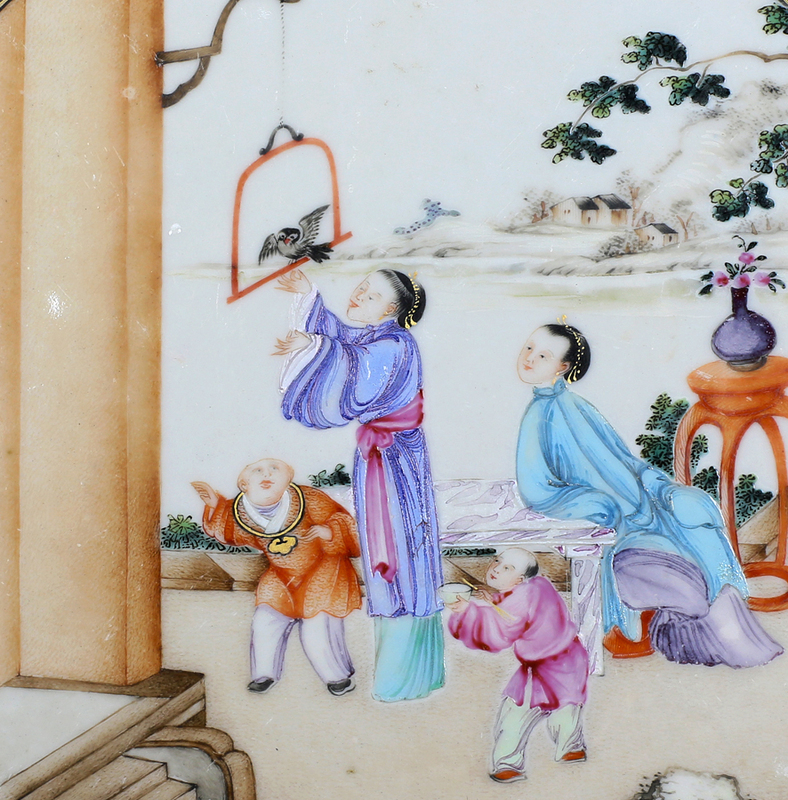 This scene is interesting for its adaptation of western influences: one, the boy at the left, with his red hair and pale blue eyes, appears to be an European child; two, the open landscape beyond and the architectural details to the left utilize western perspective to achieve a startling sense of space and depth often missing in Chinese painting. 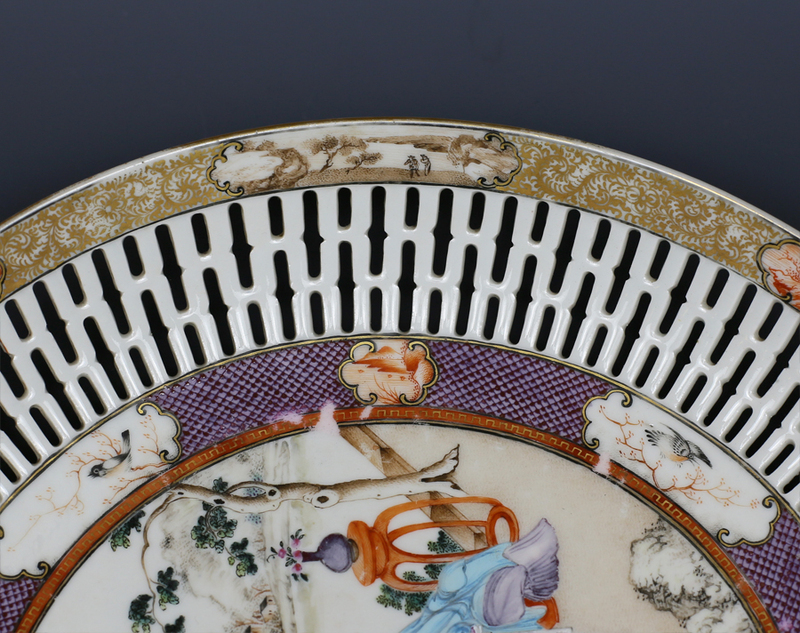 The reticulated details indicate this dish was a fruit dish: the openwork wall was intended to allow water to seep away when newly-washed fruit is rested within the dish. 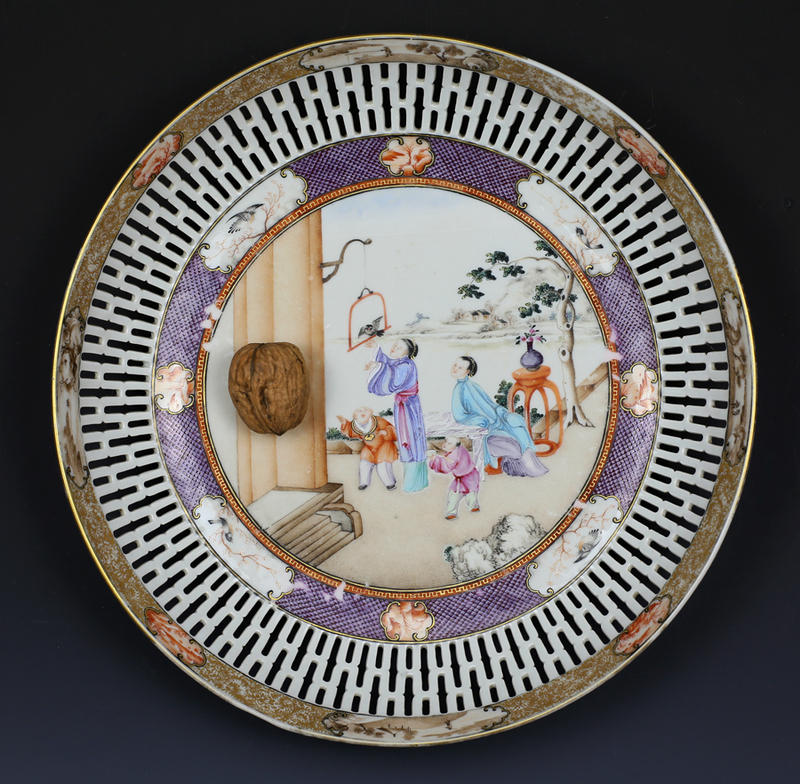 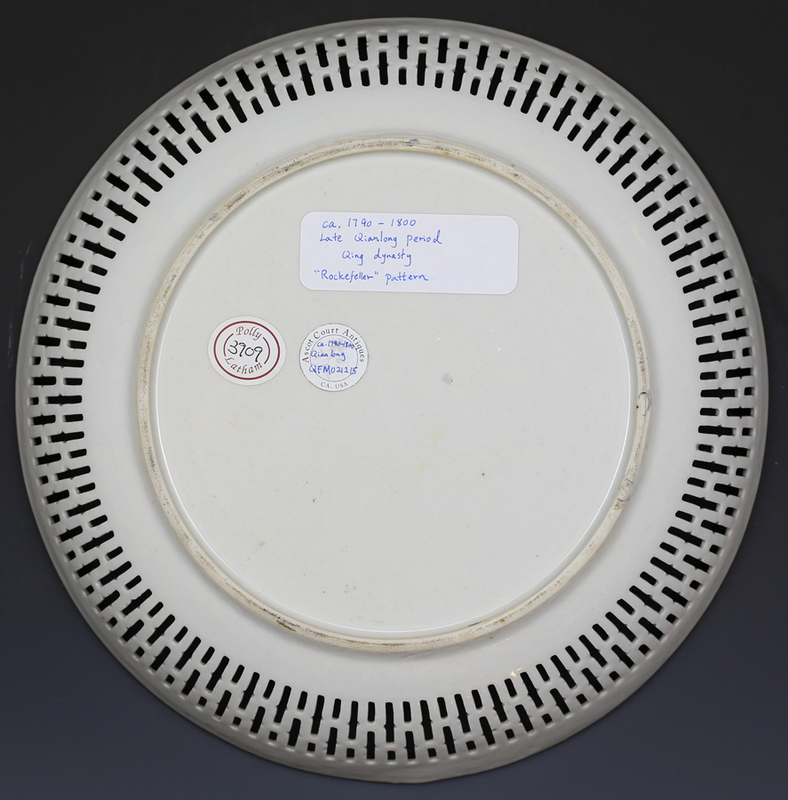 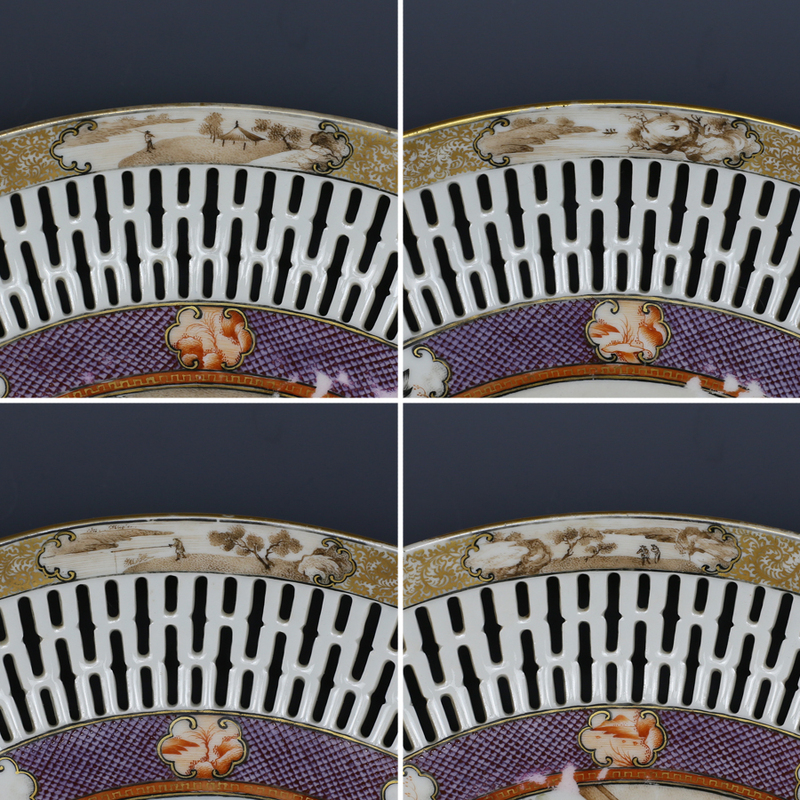 Late Qianlong – Jiaqing era export porcelain of this type are often called the “Rockefeller” pattern due to its association with the famous American Rockefeller family, who particularly loved to acquire and collect export porcelain of this design.